If your lawn is looking a little drab and dull this summer it could be because you’re making a small, yet costly mistake! A glowing, green lawn is every homeowner’s hope, so ensure you’re not making one of them! At Acres of Green, we’re your local landscaping company in the Walpole area, and we want to lend a hand to all of your lawn care and landscaping needs. Having a beautiful lawn is a partnership — we care for it with our mowing, edging, and fertilization services, while you tend to it when we’re not! To maintain a luscious lawn this summer, follow along in today’s post and make sure you’re not making any costly lawn care mistakes. 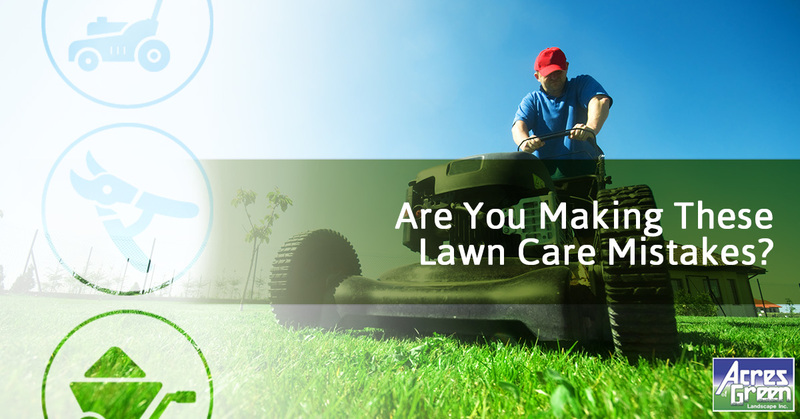 As a homeowner, you take pride in both the interior and exterior of your property, but sometimes it’s this great care or overzealousness, that can lead to lawn care issues. There are two kinds of homeowners, those who underwater and those who overwater. Those who overwater tend to go with the notion “if I water a little I’ll have ok looking grass, but if I water even more, it’ll be even better!” This philosophy can hurt your grass. If you water daily for more than 15 minutes, this could be causing lawn care issues such as fungus or encourage weeds such as nutgrass and dollarweed. Unfortunately, if you already have grass or sod, there is not much you can do, but if you’re getting ready to lay sod, it’s highly important to choose the right kind of grass for your region. Speak with your local lawn experts about what is well-adapted for your region — this is looking for grasses that are drought resistant or one that does better in a humid region like Walpole. Did you know the type of grass your property has, has a recommended mowing length? For example, mow bluegrass to two to three inches and perennial ryegrass at two inches. Also, when you keep your grass longer, it shades the ground, preserving moisture levels. The biggest takeaway here is, when in doubt, always keep your grass longer to prevent moisture loss and to keep it green all season long! Walpole is lush, humid, and receives its fair share of precipitation but in case there is a drought, do not mow your lawn. 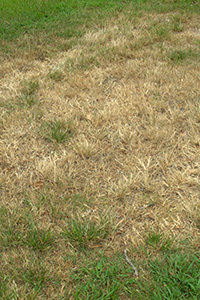 When you mow in a drought, the freshly cut blades of grass lose all their moisture and turns brown with the lack of water. A recommendation is to not cut your grass until it rains two consecutive days! It’s very easy to go home at lunch and water your grass, but it’s honestly not doing much for it. If you’re watering in the hottest part of the day, you’re losing most of the water to evaporation. The water that is making it to the grass isn’t able to penetrate the roots. To keep your lawn green and pristine all season long, schedule a lawn care service today!